Are you a master hacker intent of securing your WiFi connection, or simply an better-than-average computer user trying to make their network secure? Either way, there are dozens of ways to secure your network that can be easily overlooked. 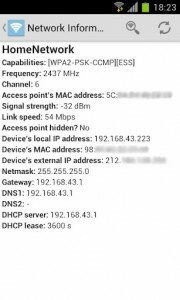 WiFinspect is a great-looking WiFi auditing tool to ensure the proper configuration of your network. 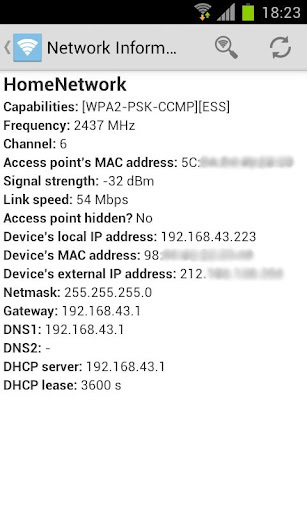 WiFinspect lets you examine more than just your router’s configuration, though. It lets you scan your local network for open ports on any computers connected, which is nice for times when you think you may have accidentally configured your firewall wrong. It also does a variety of automated testing, including Access Point Default Password Tests, Access Point Security Tests, and various security scanners. If you’re more interested in network speed, WiFinspect can offer you some help in that category, too. It has a ping checker, along with a traceroute interface to let you track exactly where your data goes as you send it across the web. There are dozens of tools, and it’s simply impossible to explain them in a few short paragraphs. WiFinspect is loaded with free network tools for anyone who’s interested in securing their WiFi network. Of course, the best WiFi network security is no WiFi network at all, but many people don’t even own a device with an ethernet port any more, so setting up your network securely is not a luxury anymore, but instead a necessity. WiFinspect is a tool to help you accomplish this goal.